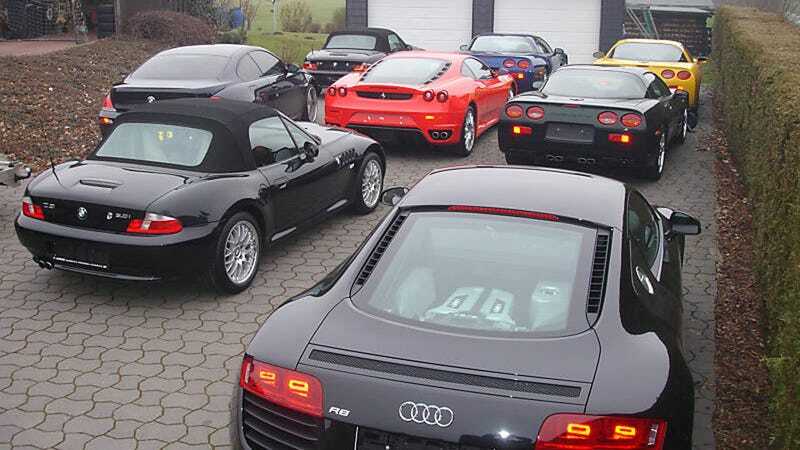 Today we discovered that there's an exotic car dealership, Frank Tellermann Exclusiv Automobile, located on Driftenstrasse (Drifting street). Think the owner gets the joke? We found Frank Tellermann's expertly-located dealership while we were discussing if the questionably-brake-biased dorifto Starlet was reckless for burning rubber on a public street, but Rainbow Dash swooped in to correct us. It's not a public road. It's obviously the Nürburgring, on "Das Driftenstrasse" where racers are encouraged to do donuts and drive backwards and stuff. The bus is to shuttle spectators from one side of the track to the other. It was after this lesson that we found another discussion that we couldn't help but highlight here. It was on driverless cars and how they could fit into the driving world of tomorrow. There are plenty of dystopian visions echoed by some of us, but we liked how Dr. Watson saw cars becoming more alive, and more like animals. I like to call this the "Equestrification of the Automobile." 200 years ago the horse was king for transportation. Over the next 100 the train, car, and plane made the horse obsolete for human locomotion, but we still ride horses, and they even have a (completely ridiculous) place in the Olympics. Cars are now going the way of the horse over the first decade of the 21st century we've been seeing the countryside peppered with "country club race tracks," which like golf courses operate on private memberships and even offer clients a residence on the grounds. This is the beginning of the car following the horse on its road to being retired and sent out to pasture where they will be enjoyed only by enthusiasts as a hobby. So if things go as they seem, we'll be taking autonomous commuting appliances and mass-transit to commute to the "stable" where we keep our prancing horses and angry bulls. And you know... I think I'm ok with that. So while everyone else in the future is quietly riding iron horses, you'll know where to find me: on Driften Strasse.